The X-Men have always been one of Marvel’s biggest properties. This comic series focuses on mutants – outcasts with a variety of special powers – and has been used time and time again as an allegory for things such as racism, how people with disabilities are treated, and the overall feeling of just not being accepted, which contributed to its success since debuting in the early 1960s. Because they were so popular and so relatable to readers, it made sense for Marvel to license the property out to develop games featuring the X-Men. This led to the release of many games featuring the titular team, even if the titles they were featured in never really reached the height of popularity or had the substance of the ones featuring Batman or Spider-Man did. The X-Men were set to make their first appearance in a video game in 1985 with Questprobe featuring the X-Men, which would have been a graphical text adventure. Unfortunately, this game never ended up coming to fruition, as Adventure International, who had published this series of games, went out of business in 1985. The X-Men’s first official appearance in a game ended up coming in 1989 with The Uncanny X-Men on the NES. The Uncanny X-Men was published by LJN, and was developed by an undisclosed external developer that is still not known to this day. 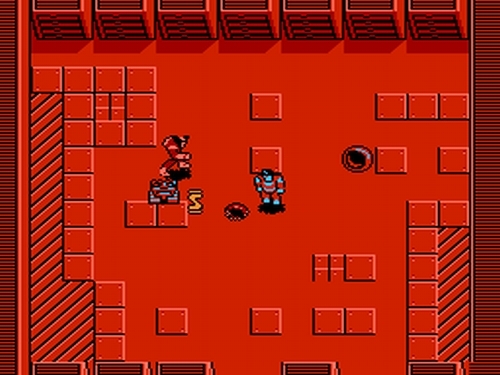 The game was a top down title that featured multiple X-Men characters who used their special abilities to fight through levels of enemies and bosses. 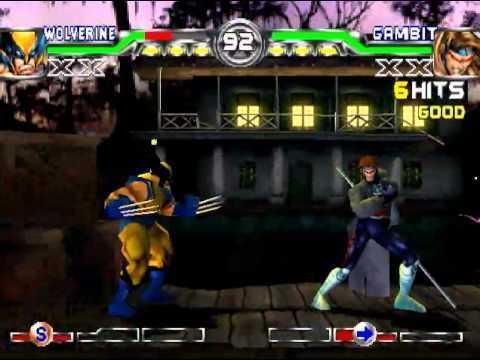 The game was also playable in co-op, with each player controlling a different X-Men team member. If one was playing alone though, they would have an AI partner who would go through the level with them, although this AI partner was notoriously bad. Paragon Software followed up this game in 1989 with X-Men: Madness in Murderworld on Amiga, Commodore 64, and DOS. This game was a sidescrolling action game featuring many of the X-Men saving Professor X from Arcade and Magneto, who had him held up in Murderworld. The game featured 500 action and combat screens, which was quite impressive for the time. Paragon followed this up a year later with X-Men II: The Fall of the Mutants for PC. The gameplay of this title was radically different than what was found in the original. The game used an overhead view most of the time, with players controlling a team of five out of 15 X-Men as they moved around the map, looking for enemies, traps, and health crates. When the player came into contact with an enemy, X-Men II: Fall of the Mutants switched to a side close-up view. The goal of each level is to search and find a pair of Freedom Force members (who the X-Men have come into conflict with in this game) and defeat them in order to progress to the next level. The next X-Men game released would be the first to focus on one iconic badass X-Men member: Wolverine. 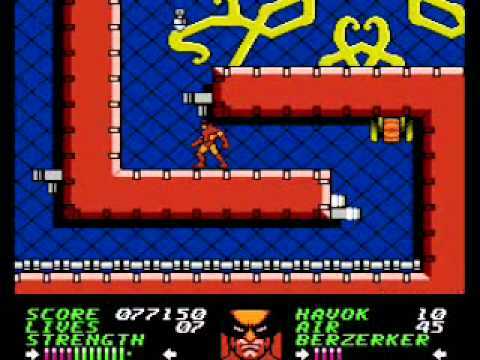 Developed by Software Creations and published by LJN, Wolverine was released on the NES in 1991. This game was a simple platforming beat ’em up, with Wolverine trying to escape from a deserted island that he was kidnapped and put on by Magneto and Sabertooth: killing enough enemies would make Wolverine temporarily shift into a Berserker mode and cause havoc as a result. This game has been panned since its release for being unfaithful to its source material, and because of its excruciating difficulty due to the lack of any kind of invincibility frames after taking damage. After that would come an arcade classic. 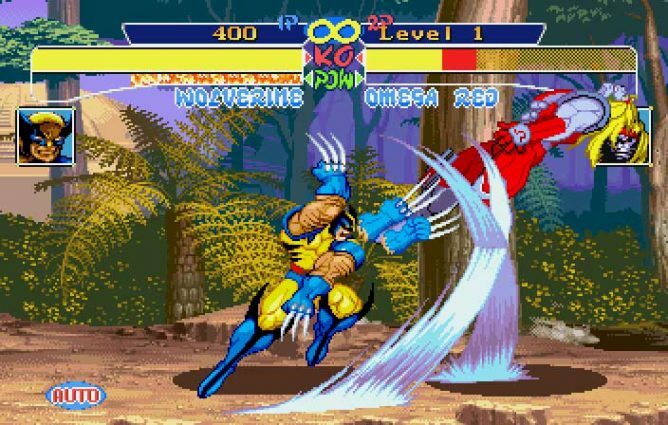 In 1992, Konami produced a 2D sidescrolling beat ’em up featuring the X-Men and brought it to arcades, known simply as X-Men. The X-Men cabinet supported up to six players, which was unusual during the time it released. While it was a bit repetitive according to critics, many still found it extremely fun, and it became a hit in the arcades. It was eventually re-released on PS3 and Xbox 360, and then iOS and Android shortly thereafter, although the mobile versions were removed from sale in 2014. After that amazing arcade game would come a crossover with another familiar Marvel character I previously covered in this series of editorials: Spider-Man. 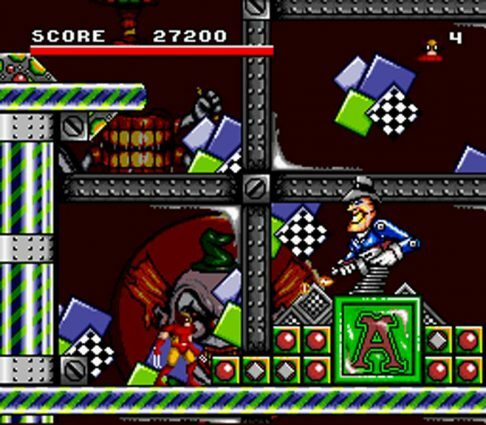 Spider-Man/X-Men: Arcade’s Revenge is a 2D action platformer where players controlled both Spider-Man and members of the X-Men in order to beat Arcade. The game’s development was fraught with problems, as LJN rushed the developer, Software Creations, to finish the game quickly. Upon release, the title received mixed reception due to its frustrating and imprecise controls. In 1993, Sega partnered with Western Technologies Inc. to create X-Men for the SEGAGenesis. It was a 2D action game where players tried to escape a virus infected Danger Room. The game was received fairly well, but was criticized for being extremely difficult. SEGA would eventually develop another X-Men game of the same name for the Game Gear in 1994. This title was a simple 2D beat ’em up where players start out with Wolverine and Cyclops, and have to save other kidnapped X-Men members, who they can then control. This title was praised by critics upon release for its fun gameplay and great graphics for the system. Each game would be followed up by their own sequel in 1995. The sequel to the Genesis version was called X-Men 2: Clone Wars, and was a beat ’em up similar to the first game. This game is infamous for a stage that required players to reset in order to continue, but doesn’t tell them to do so. The game received mixed reception when it released because it had stiff screen-scrolling and poor visuals/sound effects. There was another sequel planned for the Genesis, called X-Women, which would have primarily focused on female members of the X-Men, but it was cancelled prior to completion. The Game Gear version would be followed up with X-Men 2: Game Master’s Legacy. It received good reviews upon release for its graphics and fun gameplay. This game would also get another sequel in 1996 called X-Men: Mojo World, where players would took on the titular villain in a game similar to the first two Game Gear titles. This game went largely unnoticed upon release, as it came out towards the end of the Game Gear’s lifespan. Wolverine would then get another solo game in 1994 with Wolverine: Adamantium Rage, developed for the SNES by Bits Studio and LJN, and for SEGA Genesis by Teeny Weeny Games and Acclaim Entertainment. 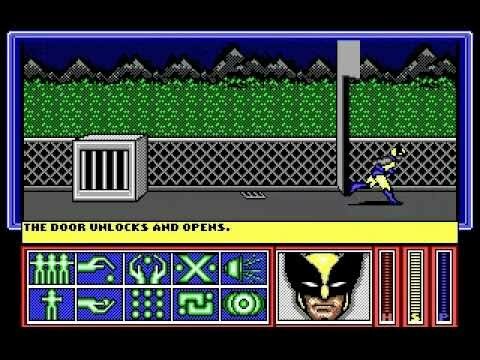 The game focuses on the journey Wolverine takes after he receives a mysterious message from someone claiming to know about his past. Both versions of Wolverine: Adamantium Rage are action platformers that have Wolverine navigating his way through large multi-floored levels, with Wolverine having to kill a certain number of enemies before he can progress to the next level. On both SEGA Genesis and SNES, the game got middling reception due to its generic design and awkward controls. In late 1994, Capcom would develop X-Men: Mutant Apocalypse for the SNES. 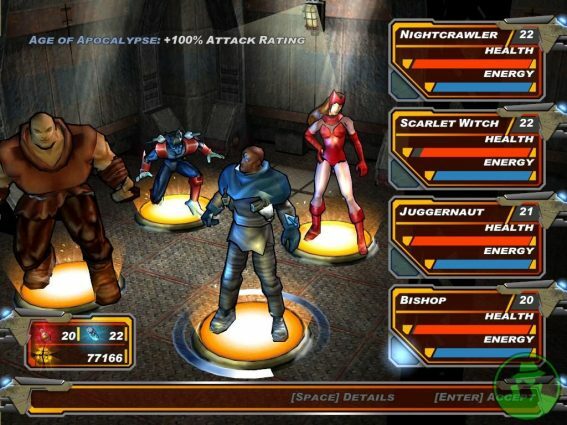 The player controls one of five X-Men members who each have their own objectives within larger levels alongside their different moves and abilities. The player has one life pool for all of the X-Men, not just one, increasing the difficulty. 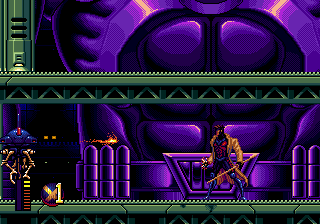 Players must battle a boss at the end of each level, eventually culminating in a battle against Magneto. X-Men: Mutant Apocalypse received good reception upon release, with critics praising the gameplay, large levels, and difficulty. Capcom would make another X-Men game the next year – one that was quite different, but highly influential. In early 1995, Capcom released X-Men: Children of the Atom in arcades across North America, with the title coming to PC, Sega Saturn, and PlayStation in the following years. Children of the Atom was a fighting game using similar controls to those found in Street Fighter II and Darkstalkers. There is an X-Power meter that players fill by doing regular or special moves, and players can either perform an X-Ability or a Hyper X move, as it is filling up, to damage their opponent. 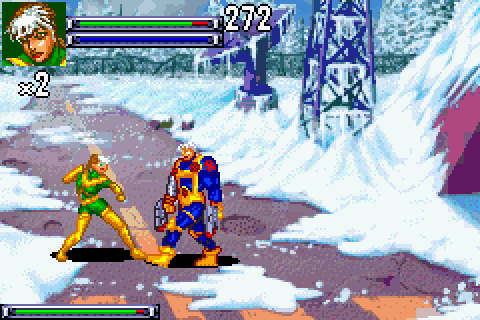 Players can choose between different characters from X-Men comics, and fight each other one-on-one in either single or multi-round challenges. The game was received extremely well in arcades and on SEGA Saturn due to its tight and engaging gameplay, great animations, and a good, varied selection of characters. 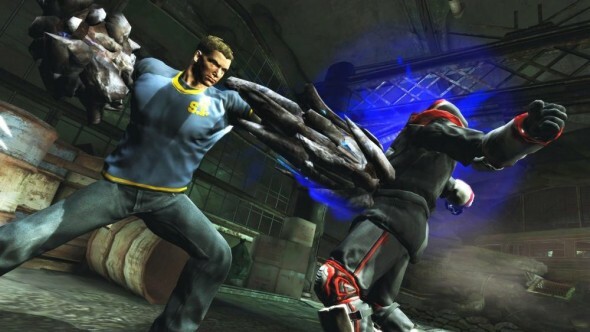 The PC version was criticized for running at a lower resolution and frame-rate than the other versions, and because players did not have the ability to chain combos in it. Due to the system’s limited RAM by comparison, the PlayStation version had missing frames, slowdown, and long load times, garnering it the worst reception out of any version of the game. While Akuma was a secret character in Children of the Atom, that game was far from being a major crossover. Fortunately, it kicked off a long string of Capcom fighting games featuring characters from Marvel Comics. It was followed up by Marvel Super Heroes, which featured other characters from Marvel Comics, and then by X-Men vs. Street Fighter, which brought characters from the popular Street Fighter franchise into the fray. Both of these games were received well, and would be followed up by a fighting game series that almost all fighting game fans know of: Marvel vs. Capcom, which has a new entry coming this year. 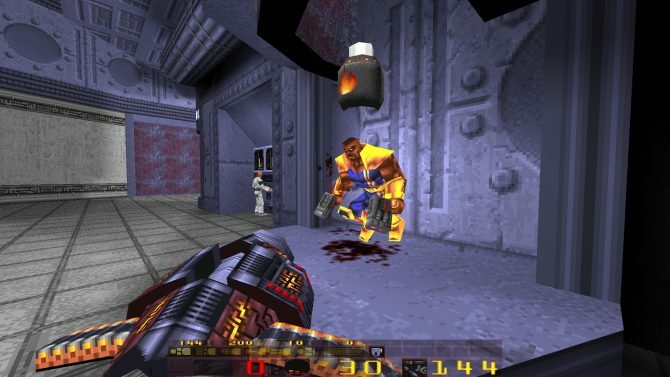 In 1997, Zero Gravity Entertainment and WizardWorks Software teamed up to release X-Men: The Ravages of Apocalypse, a “total conversion” of the popular FPS Quake, meaning it required a full version of the game in order to be played. This game received mixed reception due to bland level design and poor controls: in the years since, has been made available for free on Steam as a mod for Quake. In 2000, the X-Men received their first movie, which was very successful. 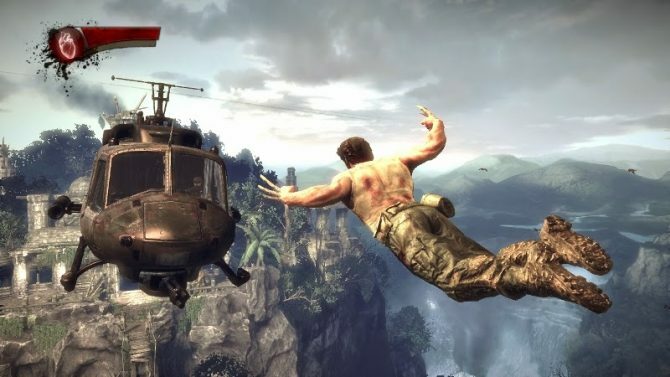 As with most action movies at that time, a tie-in video game was made to go alongside the movie’s release in theaters. The result was X-Men: Mutant Academy; it was developed by Paradox Development and published by Activision for the PlayStation. The game uses 3D environments and characters, but has them fight on a 2D plane. The game received decent reviews, with critics praising the gameplay and AI but criticizing its similarities to other popular Capcom fighting games. The game would go on to get two sequels, X-Men: Mutant Academy 2, which also came out on the PlayStation, and X-Men: Next Dimension, which released on PS2, Xbox, and GameCube, and changed to a full 3D fighting game. Mutant Academy 2 received better reviews than the first, with critics praising the new characters and expanded combos. Next Dimension, on the other hand, received lukewarm reviews, with complaints arising from the game’s stiff controls. In 2000, Hal Corp. and Activision released X-Men: Mutant Wars on the Game Boy Color. This game was a sidescrolloing beat ’em up where players took control of five of the X-Men to try and stop Magneto from taking over the world. The game was reviewed very poorly, with many critics complaining about the game’s frustrating controls and long, repetitive boss fights. Activison would follow this game up with another sidescrolling beat ’em up for the GBA in 2001 named X-Men: Reign of Apocalypse. This game received mixed reviews, with critics complaining about simplistic gameplay and short length. Activision also released X-Men: Wolverine’s Rage for the Game Boy Color in 2001. 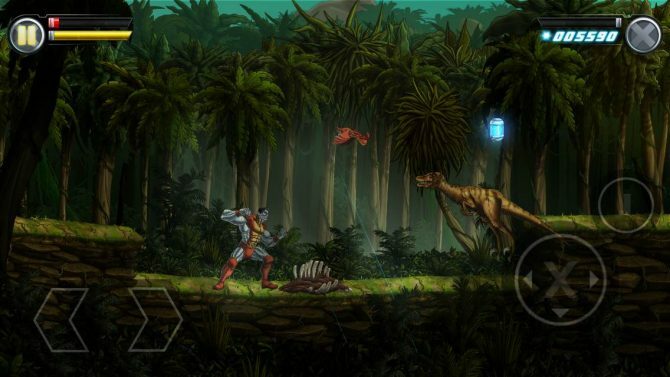 The game is a 2D action platformer where Wolverine must stop Lady Deathstrike, who has made a weapon that can melt Wolverine’s Adamantium skin. The game received mixed reception upon launch due to its repetitive nature. In 2003, X2: X-Men United hit theaters, and spawned off a game of its own. X2: Wolverine’s Revenge was developed by GenePool Software and published by Activision, and it released for GameCube, GBA, PC, PS2, and Xbox. The home console versions were 3D beat ’em ups, and featured a story that is not really connected to the movie in any way, and has Wolverine searching for answers about the Weapon X program that created him, bringing him into conflict with many notable X-Men villains. The game received positive reviews upon release. In 2004, Raven Software and Activision teamed up to release X-Men Legends for the GameCube, PS2, and Xbox. This game was an action RPG that followed the story of Allison Crestmere, a mutant named Magma, who gets saved by and inducted into the X-Men. 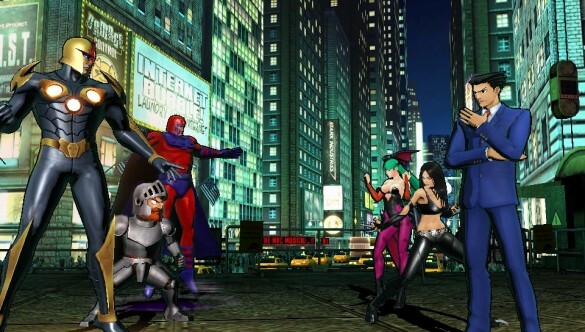 Players could construct a team of four X-Men members of their choosing, and then go on missions with them. 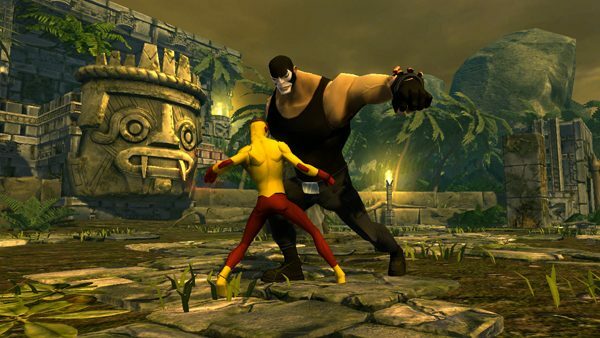 In between levels, players could also wander to X-Mansion as Magma and interact with the various X-Men members. This game obtained positive reviews upon release, with critics praising the game’s cel-shaded graphics and the amount of customization that the four-character RPG setup allowed. Due to the game’s success, both in reviews and sales, it was followed up with a sequel in 2005 called X-Men Legends II: Rise of Apocalypse. This title had the X-Men teaming up with the normally evil Brotherhood of Mutants to take on a greater threat: Apocalypse. It played similarly to the first game, but added new characters and online play. This game also did well with critics, with many praising the online play and destructible environments. While there has not been an X-Men Legends game since Rise of Apocalypse, this series did spawn the even more popular Marvel: Ultimate Alliance games, which were also developed by Raven Software, included X-Men characters, and werelauded by fans. X-Men: The Official Game released in 2006 to coincide with the release of X-Men: The Last Stand in theaters. 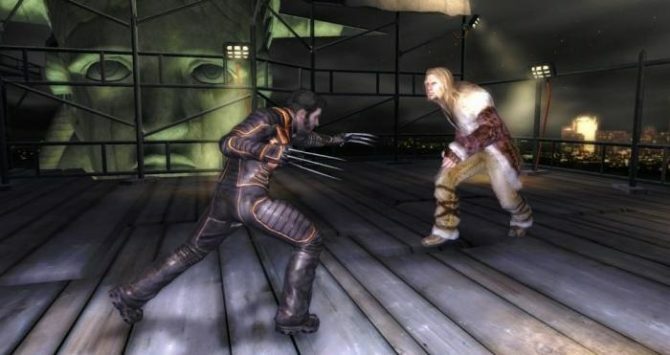 On consoles, the game had players take control of Wolverine, Nightcrawler, and Iceman, and take part in three very different styles of gameplay in events that took place prior to the third movie. 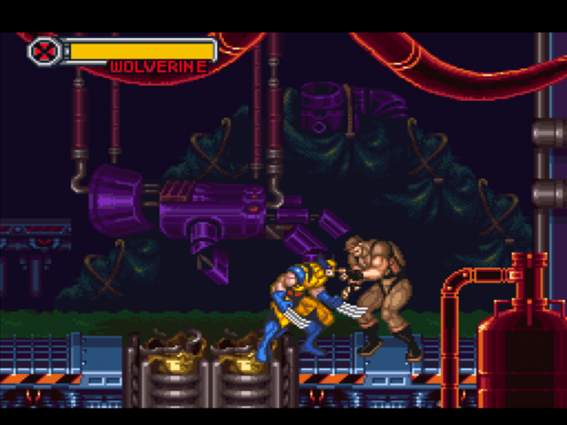 Wolverine’s missions played like a 3D beat ’em up, with Wolverine taking on hordes of enemies. 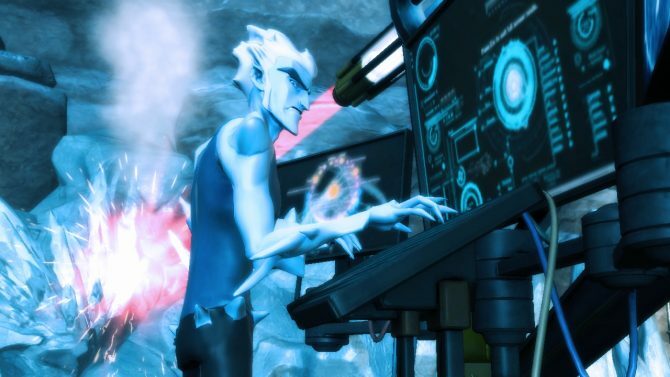 Nightcrawler’s missions employed stealth and platforming, and Iceman’s missions played like flight-sim games as he rides his ice slide through the air. The game received mixed reviews due to repetitive gameplay and poor AI. In 2009, X-Men Origins: Wolverine was released in theaters as the first of a planned series of standalone movies for specific X-Men characters. It sucked. Really bad. But we aren’t here to talk about that movie; instead, the focus is on the surprisingly good tie-in game from Raven Software, the same people who developed X-Men Legends. The game released for PC, PS2, PS3, PSP, Xbox 360, and Nintendo DS around the time of the film’s release in May of that year. 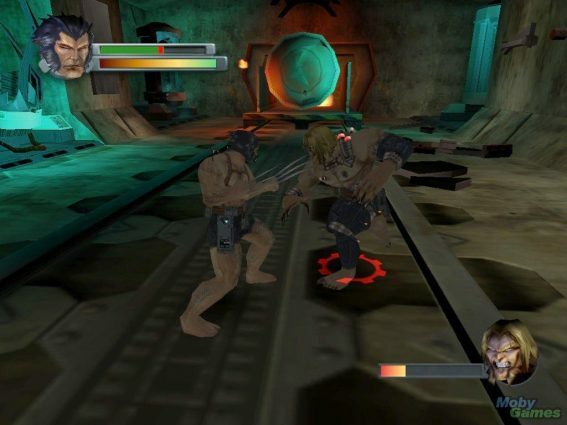 X-Men Origins: Wolverine was a 3D action game made in a similar vein to titles such as God of War. Players had a light and heavy attack and a grab; they could also lunge at enemies from a distance, giving him a more ranged option. Wolverine would build up a rage meter while fighting enemies that could eventually be used to pull off a devastating attack. This game was known for its visceral gore, something that hadn’t really been shown off in Wolverine related-media outside of comic books before this point. Critics praised the game’s violent nature, even if the gameplay was criticized for being a tad repetitive. Sadly, the X-Men’s next, and last, console game would be a tumultuous one. X-Men Destiny was released in 2011 for the Xbox 360, PS3, Wii, and Nintendo DS by Silicon Knights, known previously for Blood Omen: Legacy of Kain and Eternal Darkness. The game pitch sounded great: players could take control of and customize their own mutant, and take part in a conflict that would force them to side with either the X-Men or the Brotherhood of Mutants. Unfortunately, due to a rushed development and impending lawsuit with Epic Games over the use of the Unreal Engine in Too Human, the product was less than favorable. Critics panned the lackluster graphics, clunky gameplay, and an overall lack of polish. Due to Silicon Knights losing the aforementioned lawsuit with Epic Games, they had to recall all copies of the games, and destroy other existing ones, which will most likely leave it a forgotten part of both X-Men and video game history. Fortunately, after that, everyone’s favorite Merc with a Mouth, Deadpool, got his own game. Deadpool was a third-person action game developed by High Moon Studios and published by Activision for PC, Xbox 360, and PS3 in 2013. The title never took itself seriously, and constantly broke the fourth wall, much like Deadpool himself. While critics gave middling reception to the game because of its clunky controls and repetitive combat, fans adored it for its keen sense of humor and its truthfulness to the already wacky character, leading the title to be re-released on PS4 and Xbox One in 2015. The X-Men’s last game was an anticlimactic one. To coincide with the release of the film X-Men: Days of Future Past in 2014, GlitchSoft released Uncanny X-Men: Days of Future Past, a 2D sidescrolling action adventure game. The game reaped decent reviews for its fun, albeit easy, gameplay. Ultimately, the X-Men never really got their lucky break with games like other well-known comic book characters, with many of their games being repetitive and lacking substance, even though they did end spawning the popular Marvel vs. Capcom series. That being said, there is a lot potential in video games for these characters if a developer fully realizes what X-Men: Destiny was striving for and ended up failing to do. A full-on RPG where one could choose their own mutant powers and develop them while following a grandiose plot featuring a variety of X-Men characters would be a very entertaining and immersive power trip. It would be a large undertaking, but one that would pay off if done right. 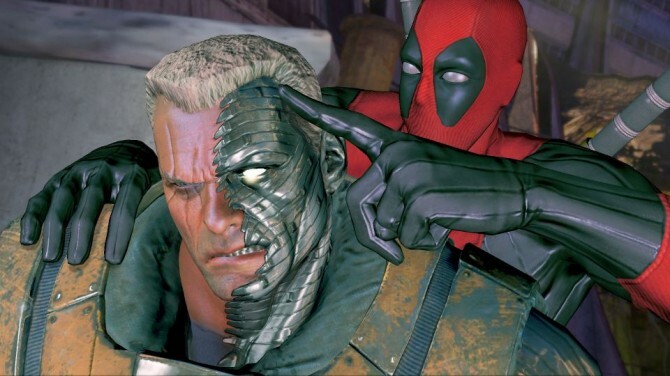 Another Deadpool game in this post-Deadpool movie world that refines some of that game’s problems would also be a fun and interesting take on the character. There is even a bit of potential for the X-Men in VR. A Wolverine game could have players slicing and dicing enemies as the badass himself. As Cyclops, the game could have people using the headset to aim the blast from his eyes. Even a simple X-Mansion tour with a few possible Danger Room missions would be very cool. 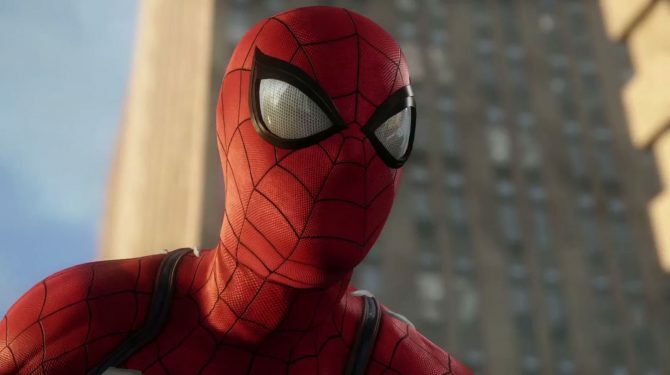 Sadly, I don’t know how likely any of these project would be, because Marvel is starting to move away from the X-Men brand in favor of the ones featured in the Marvel Cinematic Universe, but they are starting to bring back their presence in the console gaming scene; so, you never know.